Sometimes your average sized family tent just won't cut it. Whether it's extra kids, a dog, or just the desire to have that extra room for gear storage and maybe even the luxury of some indoor living area if the weather turns bad. 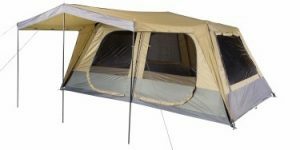 10 Person tents offer a nice balance of still being manageable and perfectly OK for campgrounds but provide that extra indoor space that is often lacking. 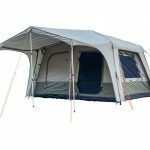 Below we review what we consider to currently be the best 10 man tents on the market in 2018- we hope it helps you find the perfect tent to make the most of your family camping experience. 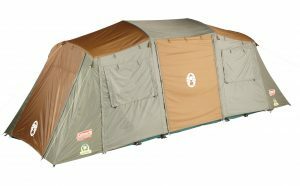 If these tents are too large for your family you can also check out our reviews on the best family tents, 8 person tents and 6 person tents. Our number one pick is the Blackwolf Turbo Lite Cabin 450 that can be purchased here. It's hard not to love the Turbo Lite Cabin. A premium tent that punches above the rest in terms of ease of set-up and weatherproofing. 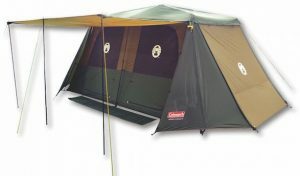 this is a tent for the family that wants to make an investment in their camping enjoyment and safety. 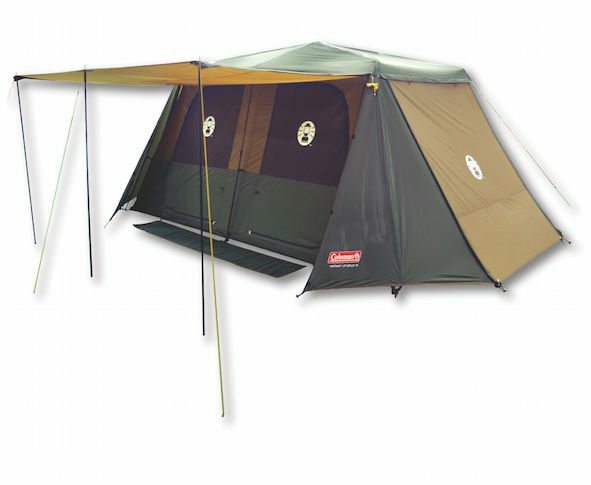 Including the Blackwolf lifetime warranty, and full of awesome features, the Turbo Lite Cabin 450 is one of the best options available for family camping in Australia. With the substantial 2018 upgrades to this range, the Turbo Lite Cabin 450 is our number one pick for 10 Person Tents. It’s hard to find fault with the Outdoor Connection Brampton. 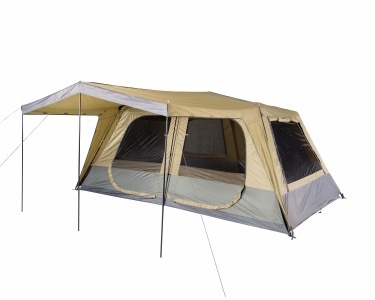 This is a spacious family tent with impressive weatherproofing and an affordable price tag. We’re big fans of the versatility provided by the multiple awnings and the near-vertical side walls that provide additional internal space. The Brampton presents an awesome mid-range option for families looking for that balance of affordability and quality, making it one of our top picks in this group. 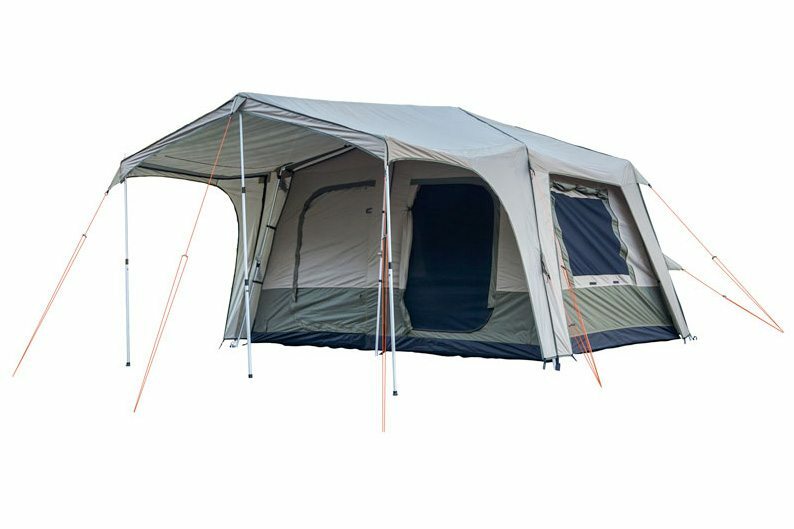 The Fast Frame Tourer offers a very similar design and look to our number one pick, the Blackwolf Turbo Lite Cabin, at around half the price. Set-up is super quick thanks to the hubbed pole design, and the internal space is roomy and feature packed. While the quality of the frame and materials might not be up to the standard of the Blackwolf Turbo Lite Cabin, this is still an awesome option for low to medium use.